Even before the official start of The Children’s Inn’s Congressional Networking Reception, the Foyer of the Rayburn House Office Building was abuzz with legislators, NIH leaders and their respective staff, along with Children’s Inn representatives. 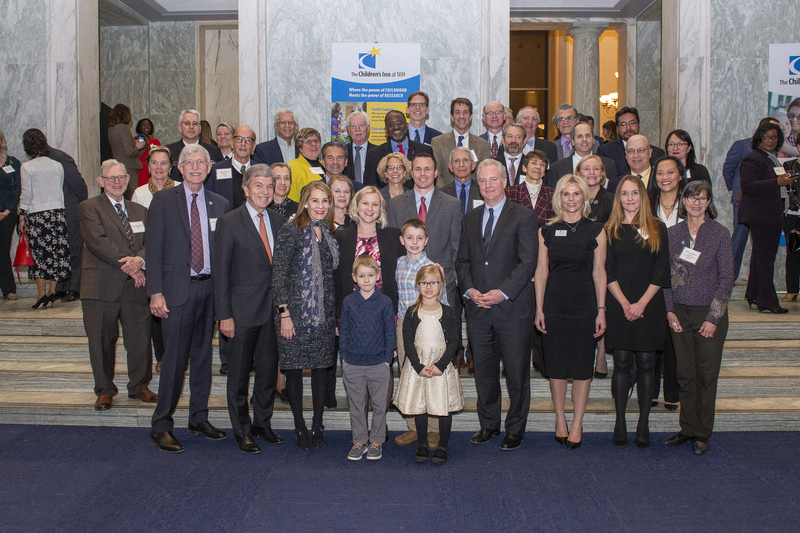 All were gathered to support The Children’s Inn at NIH and the important role The Inn plays in advancing pediatric clinical research studies at the NIH. Speakers included Children’s Inn CEO Jennie Lucca; NIH Director Dr. Francis Collins; Sen. Roy Blunt, R.-Mo. ; Rep. Tom Cole, R.-Okla.; Sen. Chris Van Hollen, D.-Md. ; and Rep. Debbie Dingell, D.-Mich. Master of ceremonies was journalist and author Cokie Roberts, who also serves on The Children’s Inn’s board of directors. Attendees were treated with a presentation from Abram, 8, of Missouri about his participation in clinical research studies at two institutes at the NIH thanks to the support he and his family receive from The Children’s Inn. Born with genetic mutations that have caused him to develop an immune deficiency and a fever disorder, his and his family’s hope is that the NIH may not only properly diagnose him but that the diagnoses also may lead to potential treatments that allow him to lead a fuller and more pain-free life. Abram brought tears to the eyes of many when he described how he loves being around The Inn’s therapy dog, Zilly, and how she helped him master painful injections, how he enjoys being around the other children at The Inn and that the chance to throw the first pitch at a Nationals game as part of a Children’s Inn outing was the best day of his life. Learn more about Abram’s journey at the NIH and The Children’s Inn. Watch below, or read his story. 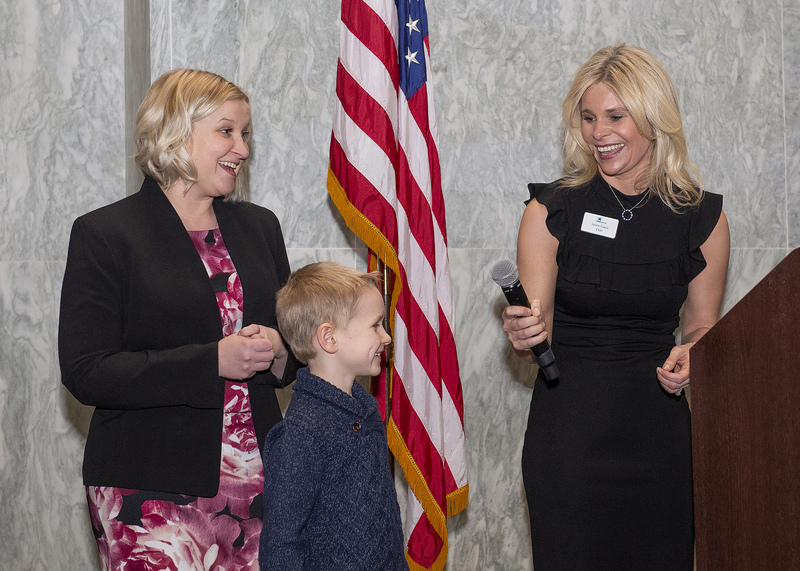 See more photos of The Children’s Inn’s 2019 Congressional Networking Reception.